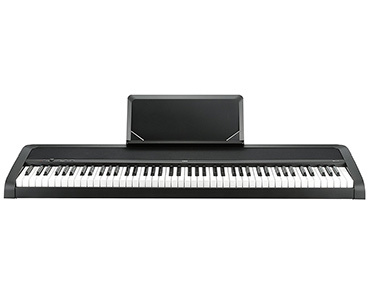 This list will help you find the best 88 key digital piano under 500 dollars. Each piano was judged by price, quality-of-life features, and overall quality. There are plenty of options for new keyboardists in search of a digital piano. However, it may be wise to stay under the $500 price point in the early stages of your playing career. Before reaching the best 88 key digital piano under 500 dollars, this is a quick table describing the five best products. 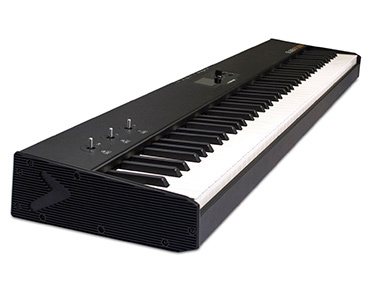 The Lagrima 88 Key is a versatile digital piano that is praised for its realistic tones. The piano ships in two models: one comes with built-in pedals while the other comes only with the piano. The device’s keys are only semi-weighted which will detract from the realistic playing experience. Great tones and voices. Keys are difficult to utilize for dynamic effect. Numerous options for USB and third-party connectivity. The built-in pedals are of lower quality. 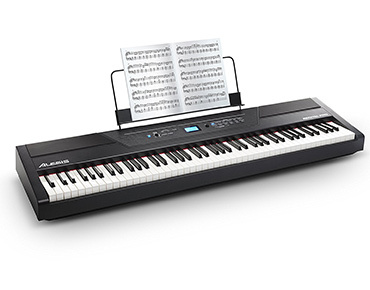 The YPG-535 is one of the most popular digital pianos on the market. For $499, beginners get a piano that has an immense range of voices, high-quality keys, and a portable design. The device’s tones may not impress the savviest digital piano players, but it’s a great choice for beginners and casual pianists. Solid and portable build. Top end of the price range. Keys are above average for the price. Poor voice quality. Studio Logic’s SL88 digital piano is the only device on this list that is a MIDI exclusive keyboard. This will make it a strong choice for those with a lot of music equipment. On the other hand, beginners may want to look elsewhere. As far as the design is concerned, the SL88 is extremely portable and features above-average keys for the price. Perfect for pianists with a lot of MIDI equipment. Lightweight material damages easily. Comes with 3 default as well as 6 editable velocity curves. The YPG-535 is widely praised for its extensive voice library with 361 XGlite samples including trumpet, flute, soprano, pan, and others. It also allows for a responsive sustain pedal and other features that promote an extremely versatile instrument. Moreover, owners can take full advantage of its USB port. Besides the standard 100 songs the piano comes with, people can upload even more selections from their PC. All this time, the Yamaha Education Suite will show you how to play any entry of your playlist. Consequently, for those in search of the best 88 key digital piano under 500 dollars, the YPG-535 is among the best choices. Above-average key sensitivity Not all headphones fit the available port. 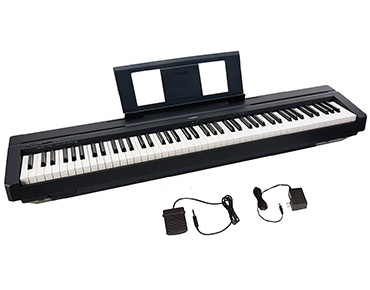 Korg’s B1 piano is famous for its deep and realistic tone. The device is also portable and lightweight. Moreover, it features high-quality materials for the price. 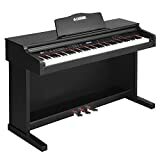 While it may not be the best 88 key digital piano under 500 dollars, it ships with the necessary piano and organ voices for entry-level jobs. Great voice quality. Limited voice library. Ultra-portable. Near the top end of the price range. Durable build. Dynamic features are below average for the price. 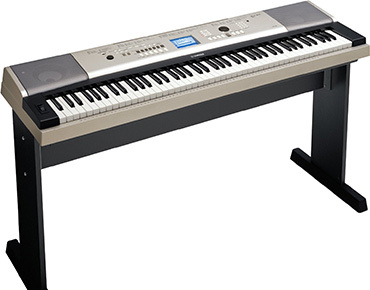 The Yamaha P71 is an outright powerhouse in the world of digital pianos. And there is no wonder why: for only $400, the device outperforms other pianos that are more expensive than that. The piano is barebones in its voice library and built-in features, but it’s perfect for a realistic playing experience. Realistic feel. Barebones kit with few additional features. 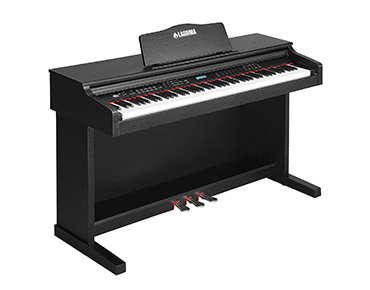 The ultra-affordable Alesis Coda is one of the front-running digital pianos for under 500 dollars. Because of its robust selection of voices and features, it has amassed a great number of positive user reviews. Users will likely want to upgrade once they’re done learning the piano fundamentals. Nonetheless, the Coda is a perfect piano for learning the basics while having some fun with the extra voices. Vast sound library. Weaker than its Alesis Recital counterpart. Great connectivity options and MIDI support. Keys are too lightweight. Lightweight and portable. Low notes are difficult to hear. The Privia PX-160BK skips a lot of the industry’s most popular bells and whistles. On the other hand, it delivers a great simulation. The device is perfect for those who intend to transition to an acoustic instrument in the future. Its weighted keys and durable body are built from high-quality materials. High-quality build. Limited voice library for non-piano sounds. Realistic piano simulation. Near the top end of the price range. 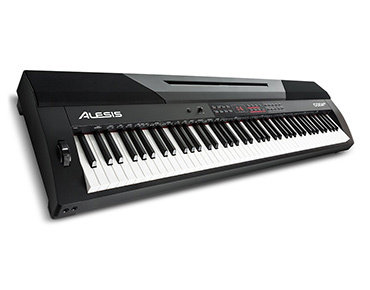 For many, the Alesis Recital Pro may be the best 88 key digital piano under 500 dollars. In fact, the standalone piano costs less than half our 500 dollar budget. Users enjoy the voice library and quality of keys. On the other hand, the main attraction here is the price, no matter the features. Portable. Kits vary widely in price. 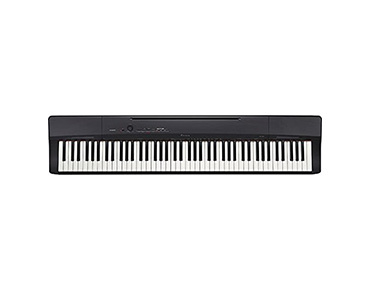 It’s a close call over the Recital Pro, but the Yamaha P45 is the best 88 key digital piano under 500 dollars. For several years now, the P45 has stood as the hallmark of excellence in entry-level pianos. The device features simulated ivory keys that have the best action of any piano on this list. Many experienced players pick up a P45 as their chosen instrument for traveling. Reasonable sound libraries. The P45 is getting old while newer Yamaha alternatives are raising the bar. On the other hand, few models compete in the price range. 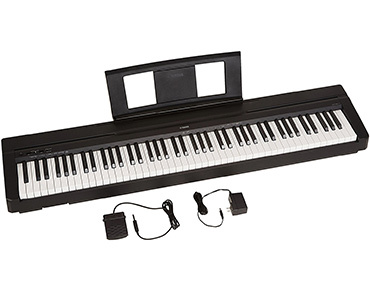 This list has helped us find the best 88 key digital piano for under 500 dollars. 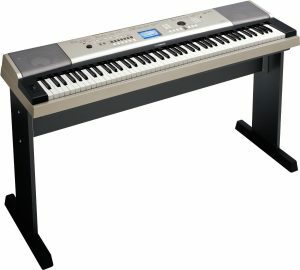 Though any of these options will prove great for a beginner, the Yamaha P45 steps ahead as the best piano in the price range. If you have any thoughts or questions, please feel free to share them below.